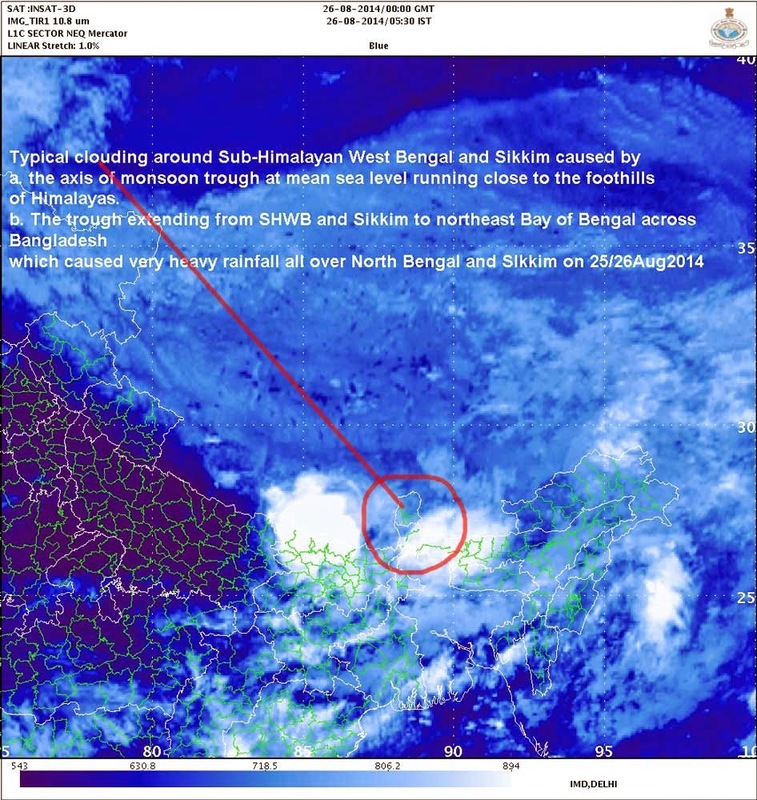 IMetD clamped a 'heavy rainfall warning' in the Sub-Himalayan West Bengal (SHWB) and Sikkim region for much of Aug2014 even though there was no major activity in the Bay of Bengal (we plotted two low pressure areas 1 and 2, during the month). 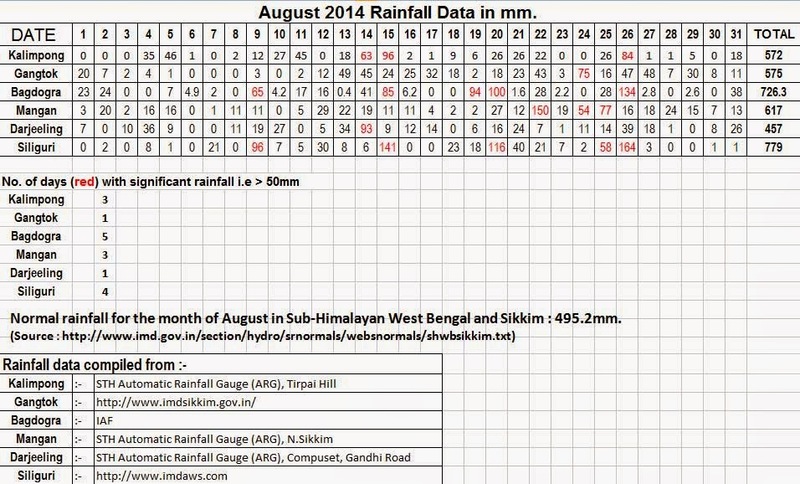 In Kalimpong, we experienced some of the soggiest and damp days thus far in 2014 even as the periods of heavy rainfall was limited to just 3 days. 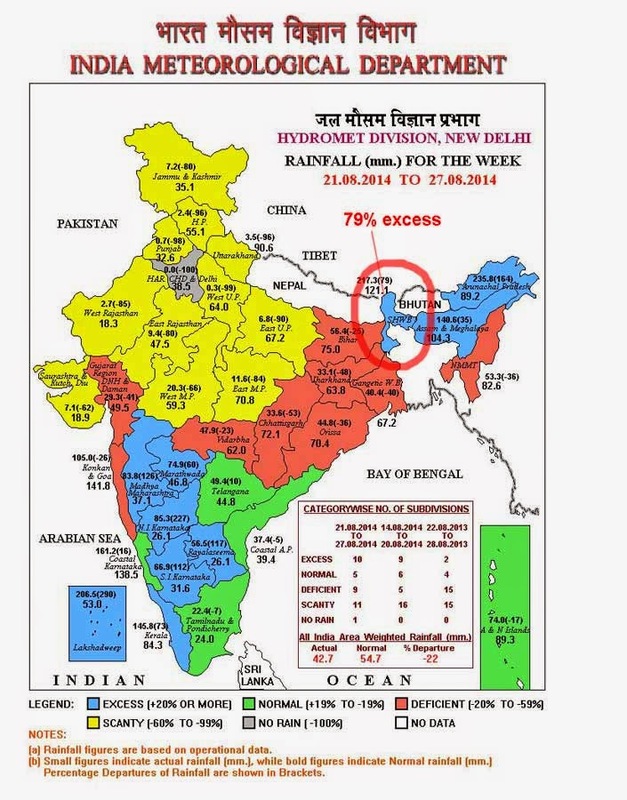 The heaviest rainfall during Aug2014 was along the plains of Dooars and even Siliguri with the mountainous region receiving considerably less rain. There were no reports of major landslides in this region.